Hannah Montana Messenger Bag featuring Hannah Montana on the flap. 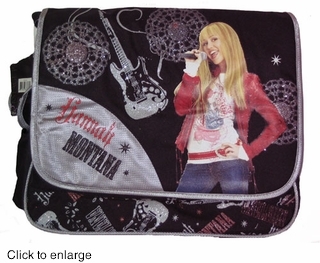 This Hannah Montana Messenger Bag has four pockets and is 16" x 14" X 5". Heavy duty nylon construction with adjustable shoulder strap.